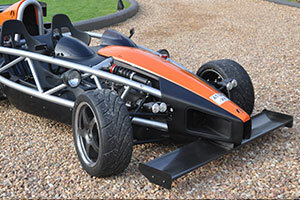 Reverie manufactures a bespoke Carbon Fibre front wing kit for fitment to the Ariel Atom (2000 - ), featuring 225mm chord with a width of 1360mm. 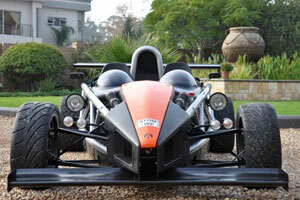 The Ariel Atom 3 Carbon Front Wing Kit is the perfect way of enhancing the performance and increasing downforce of your Atom. 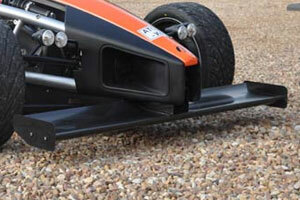 Both kits include the front wing, 2 x end plates and support tabs. Reverie manufacture a range of rear wings, front wings, diffusers, spoilers & splitters and more for all types of cars and we can often customise parts to suit your application upon request. Explore our site to see what automotive products we offer. All our Carbon Fibre products are manufactured on-site in Colchester, UK.